I must say, that planning a reception involves a lot of time and dedication. The most critical decision that will affect your reception is the entertainment company you choose. 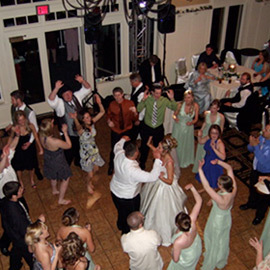 Not every Michigan wedding DJ is the same, so which one is the best for you? Well only you can answer that question. So read our article and get a head start on the planning process. 1.) Who will take care of me? It’s best to have a face to face with the actual person coordinating your reception. This will give you a good feel for their personality and style. A lot of Metro Detroit companies will send a sales rep to the initial meeting. The last thing you want is to be sold on a package. Remember this is your wedding, the most important days of your lives. Because a lot of companies will sub-contract our talent you might actually end up with a DJ that owns another company. What happens if he books up last minute, does that leave you high and dry? It’s crucial to get these questions answered before you sign on the dotted line. 2.) One of the roles as your disc jockey will be to make announcements. Since they act as your spokesperson for the wedding you will want to demo them in action. It might be hard to see them at an actual event, so videos would be a great way for you to feel them out. No two weddings are the same and any entertainer you decide on should be able to make announcements on the fly and customize them to you and your guests. 3.) Your DJ will also have to interact with your guests during the event. This can mean a variety of things. Some companies bring out blowup guitars, other cringe at the sight of them. What kind of reception are you planning. If you have a good idea of the type of vibe you are looking to create. Your guests should remain involved throughout the entire wedding. The best way to test their direction is by seeing what they have done for previous clients. 4.) Ask your disc jockey how they handle dedications, music requests, & announcements throughout the evening. Are they flexible with the itinerary? What happens if you have to make a last minute change to the timeline? Is your reception going to be more conservative or more of a celebration? Go over all these questions to make sure there are no surprises. 5.) Any professional DJ will be tactful enough to know when is the best time to play Frank Sinatra and when to get on the Tone Loc. The music should transition smoothly throughout the night. There should never be any dead air and the set lists should be based off what you and your guests want. The vendor should work with all your vendors to make sure none of them miss any of the important formalities. Don’t forget any of the tips we mentioned above. This is just a starter list but will help with you selecting the best DJ company for your wedding. If you have any questions during the meeting don’t hesitate to ask. It is better to walk away with piece of mind than not knowing what to expect. Make sure your disc jockey knows your expectations so they can deliver. They should be as passionate as you are when it comes to the big day. 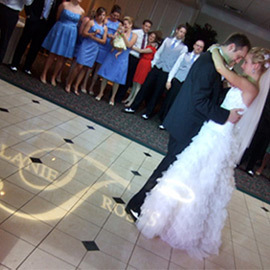 If you need any helpful advice a professional wedding DJ in Michigan can assist you to make sure it is AMAZING. If you need any from Encore, then check your dates availability above. Feel free comment below and let us know your thoughts on our article.